'Exceptional' Drought in 25% of California, 90% in "Severe" Drought. About one inch of rain fell in Los Angeles, 1.5 inches fell in Santa Barbara, and about half-an-inch in San Francisco as a storm moved into California Thursday. Although it rained last night in California, this was only the second time this winter we have had any rain, when it would normally pour for days and days. Today, the sun came out, we had sunny skies and temperatures in the 70's, not unlike a summer day. Northern California has received less than six inches of rain all winter. 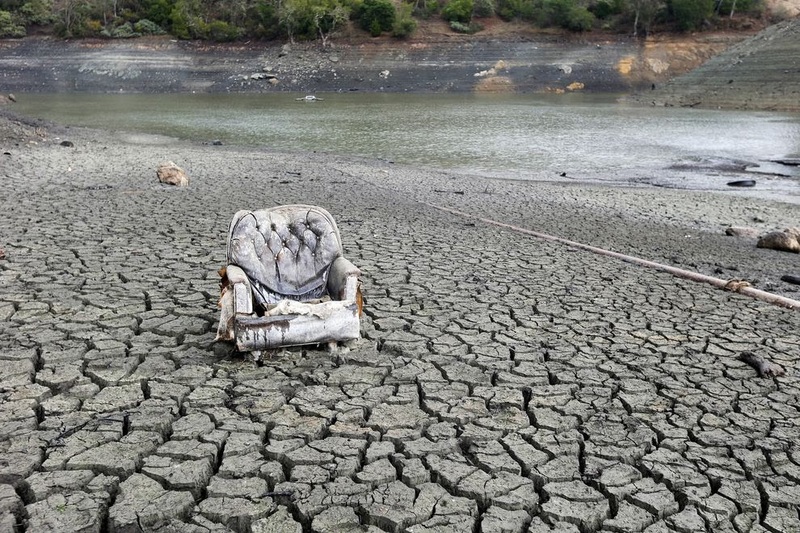 Almaden Reservoir near San Jose shows the strain of California's megadrought. The governor has declared a drought "state of emergency." Gov. 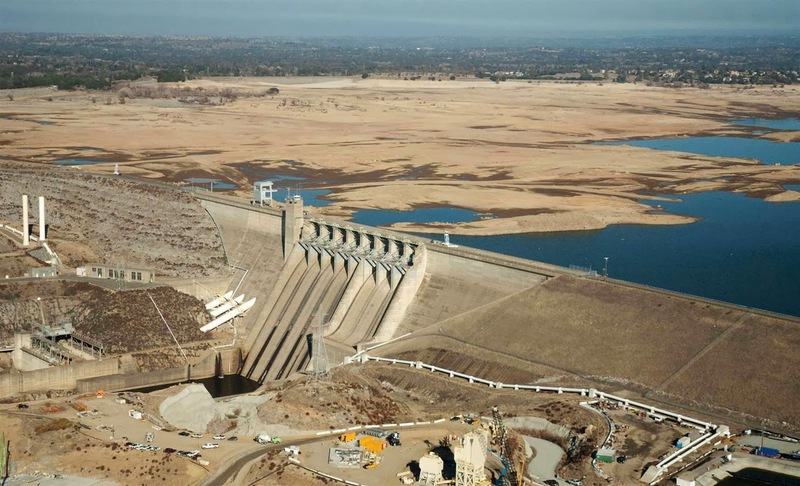 Jerry Brown announced an emergency drought legislation last week that would provide $687.4 million for drought relief. Most of the money will go to prop up the badly hit farmers in the Central Valley, who will be paid to NOT grow crops. So much for corporate welfare. The agriculture industry in California brings in $44.7 billion annually, feeds most of America, and is in severe hurt with such conditions. 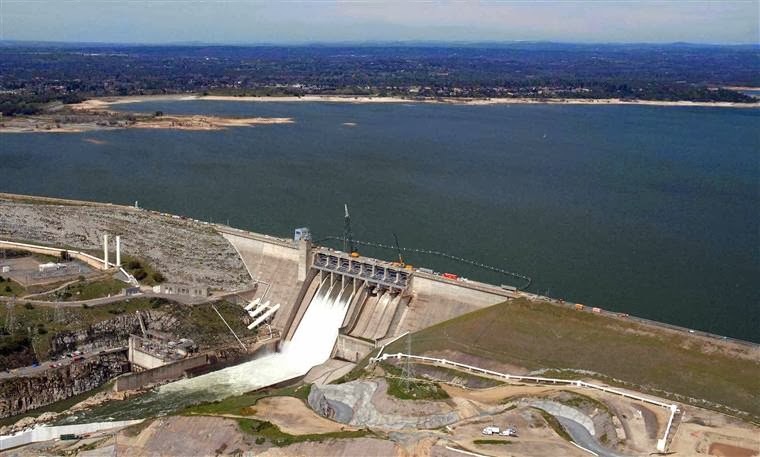 This pits the Ag industry and the Residential and Business consumers against each other, in a battle over who will get the last drop of water still in the reservoirs and lakes throughout the state. California is one of the largest agricultural regions in the world, the effects of a drought are huge. About 80 percent of California's freshwater supply is used for agriculture. The cost of fruits and vegetables could soar. There will be cataclysmic impacts. The Golden State is starting to look Brown. "It's so dry ... There's been no measurable amount of rain. 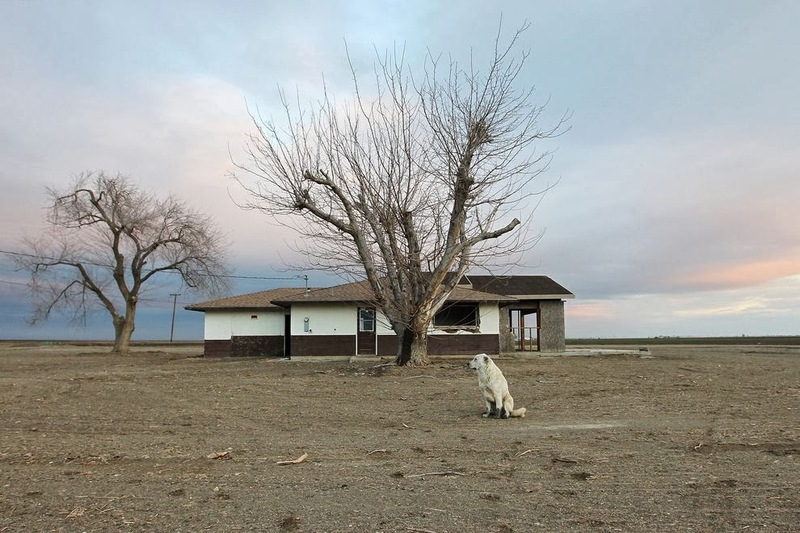 I've never seen anything like this,"
Bakersfield, California where many farms have been abandoned.